Note: This feature is only included as a part of our Live Transcoding packages. Live transcoding is included in all Pro+ and Premium plans. 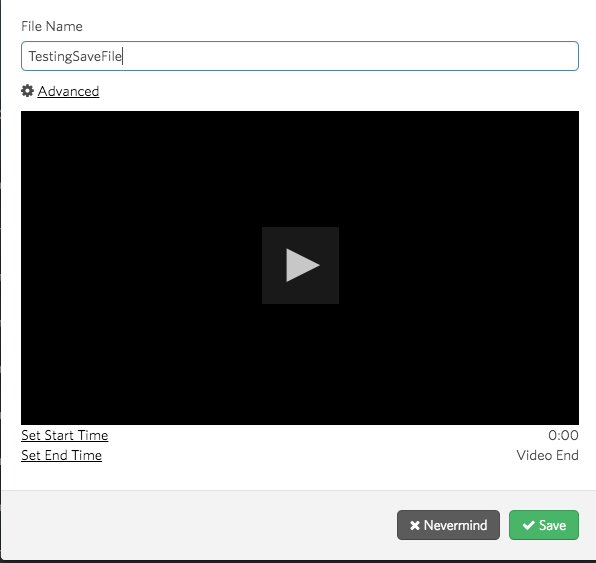 Every time you start and then stop your stream, your content will be automatically recorded in a temporary holding area in your File Manager. These files will stay in this area for 10 days before they expire. You will see a warning when files are about to disappear. If the content is something you would like to save permanently, all you need to do is hit the save button to the right. If you'd like to set in and out points, hit the Advanced Options button and choose those there. You will then see your file show up at the bottom of the screen.